PieceWork is fortunate to receive many wonderful books for review. Since space within the magazine is limited, we are going to showcase selected books here. This installment features a selection of books on historical knitting and fashion accessories. Each volume would be a welcome addition to any needlework lover’s bookshelf. Check back next week to read Jenna’s full review of Mittens of Latvia: 178 Traditional Designs to Knit by Maruta Grasmane, which is featured in the March/April 2018 issue of PieceWork. New York: Victoria and Albert Museum/Thames & Hudson, 2017. Hardcover, 160 pages, $24.95. ISBN: 978-0-50051-937-0 and 978-0-50051-938-7, respectively. Which came first, the bag or the pocket? It was, in fact, the bag. Without pockets, people had to devise a portable method of transportation for items that needed to be kept on a person, and that method was the bag. Accessories: Bags introduces us to or reminds us of the many, many types of bags that were developed over time, and tells us what they meant in terms of fashion and of culture at large. 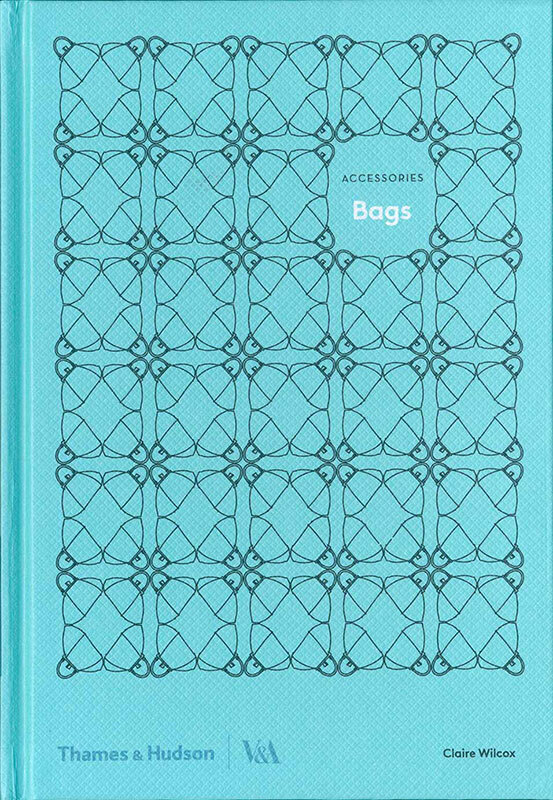 See the evolution of bags and their historical significance in the 108 beautiful images in Accessories: Bags. Like Accessories: Bags, Accessories: Shoes details shoes from the Middle Ages to the present day. 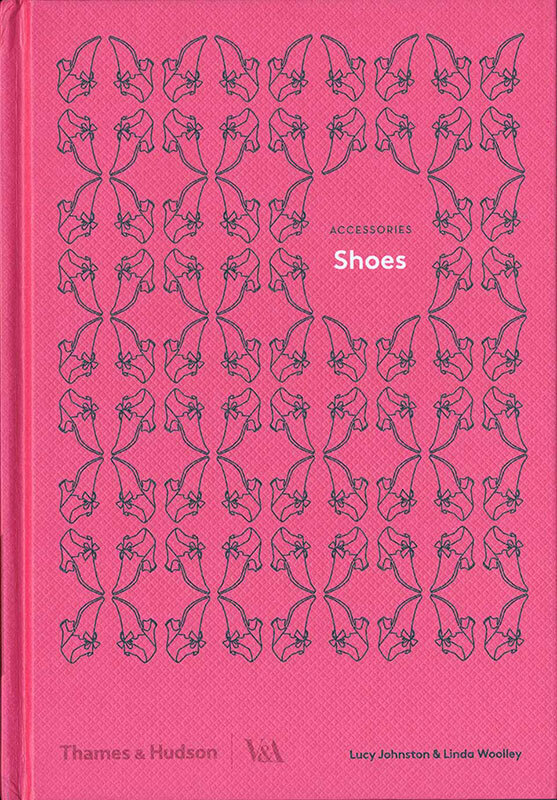 With 109 images of different footwear in different shapes and styles, this book takes readers on a step-by-step journey through history, including the evolution of culture, fashion, expression, design, and even the way we walk. These two books in the Victoria & Albert Accessories series offer an in-depth look at accessories and their roles and transformations throughout history. Beautiful photographs, portraits, and fashion plates showcase an amazing variety of bags and shoes. North Pomfret, Vermont: Trafalgar Square Books, 2015. Softbound, 224 pages, $29.95. ISBN 978-1-57076-848-4. The Art of Lithuanian Knitting is not only a collection of twenty-five stunning traditional Lithuanian patterns, but also a travel journal; it is as if you were riding along with Donna Druchunas and June L. Hall on their textile travels. 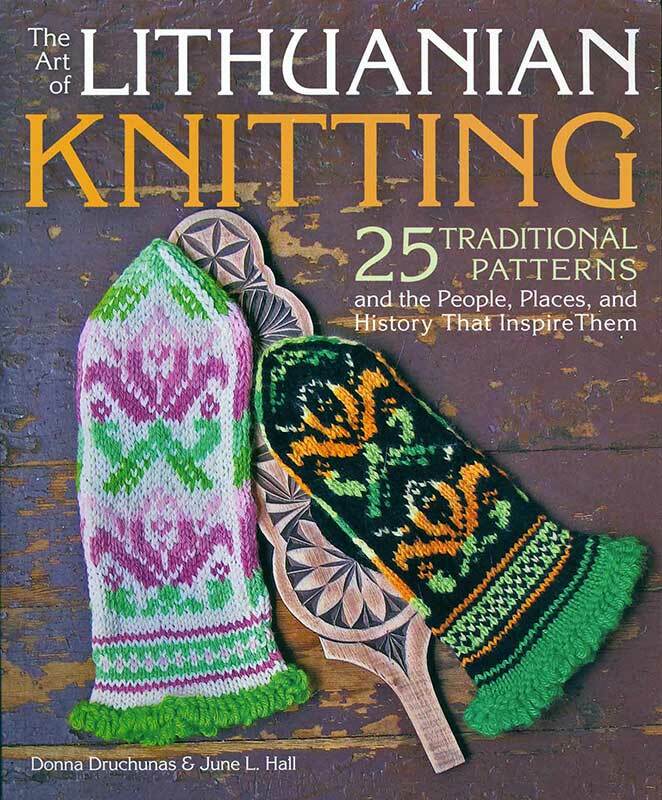 As most PieceWork readers are aware, textiles of all kinds have stories to tell, and with this book, Donna and June share their narratives of discovering the history, people, and places behind stunning Lithuanian knitted items. In addition to the incredible photography and first-person accounts from Donna and June, this book is packed full of facts and information. From historical Lithuanian textiles to socks knitted and sold in tourist markets today, The Art of Lithuanian Knitting provides a detailed and expert account of knitting all across Lithuania. By Jane Merrill and Gail DeMeyere; Keren Ben-Horin, ed. Atglen, Pennsylvania: Schiffer Publishing, Ltd., 2017. Hardbound, 208 pages, $39.99. ISBN: 978-0-76435-261-4. The Sweater: A History would make a fundamental addition to any knitter or fashion devotee’s library. Although, the book is so beautiful, I have trouble imagining it stashed away on a bookshelf. The sweater as we know it took a long journey to become what it is today; it wasn’t until the nineteenth century that the very purpose of the sweater itself began to shift from exclusively functional to largely fashionable. Masculine athletic attire in the beginning of the nineteenth century was largely handknitted, and as women began to play sports more regularly, the athletic knitted gear was eventually transformed into garments to wear off the field. The Sweater: A History tells the journey of the sweater from undergarment to sports attire to adorning magazine pages and becoming a staple of high-fashion runways. In a stunning and elegant presentation, this book details the ways in which materials, constructions, traditions, and trends in sweaters changed over a 300-year span. Turnbridge Wells, Kent: Search Press Limited, 2017. Hardbound, 176 pages, $29.95. ISBN: 978-1-78221-508-0. When Stella Ruhe published Dutch Traditional Ganseys in 2013, she received enthusiastic feedback. After hearing new stories, learning new facts, and receiving photographs and additional information from readers, she realized that she had more Dutch culture and many more traditional ganseys to explore. It is quite commonplace for men to wear sweaters today, but from 1880 to 1950 in the Netherlands, the men who wore sweaters were almost exclusively fishermen. The first book gives a full explanation of the ganseys, their origin, their use, and their history; the second book summarizes that background and offers new insights. Its many historical photographs give readers a glimpse into the lives of Dutch herring fishermen and explores the role ganseys played in this culture. Plus, the second book includes sixty-five classic sweater patterns, each reknitted from a traditional Dutch gansey. 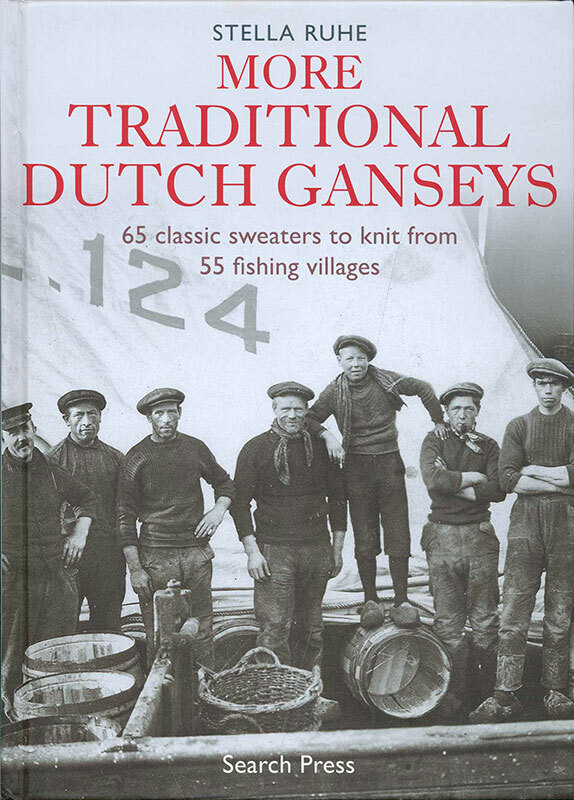 Little was known about the gansey and its role in Dutch culture before Stella Ruhe began her research, but with More Traditional Dutch Ganseys, she takes another step toward bringing this part of Dutch heritage into the spotlight. Want to learn about more books on historical knitting and fashion accessories? 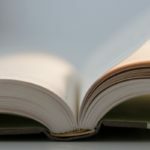 Here are a few from our “PieceWork Recommends” blog: “Bustle Fashions 1885–1887”, “A Selection of Classic Knitting Books”, and “Andean Folk Knits”. Discover more about historical knitting in PieceWork!